These Terms and conditions apply in any dealings with Zack eye clinic ltd, whether within the practice, on the telephone or when using the websites www.zackseyes.com , www.zackseyes.co.uk or any of their subsidiaries. The terms of business and contracts entered into between Zack Eye Clinic Ltd and the patient are set out below and are the basis of all transactions unless otherwise specifically agreed beforehand. If any part of these conditions is invalid, illegal, or unenforceable (including any provision in which we exclude our liability to you) the validity, legality, or enforceability of any other part of these conditions will not be affected. These terms shall be governed by and interpreted in accordance with United Kingdom law. When booking an eye examination, contact lens consultation or any other professional service you are making a contractual agreement to pay our professional fees. Missed appointments are chargeable and surcharges will be made for extended appointments, additional tests, investigations, or reports at every visit. Our professional fees are exempt of VAT. They are payable in full at the time of your appointment and cannot be refunded or exchanged. We may request a deposit / booking payment in advance. This payment will be deducted from our professional fees following the examination. However, if the appointment is not attended or if it is cancelled or rescheduled with less than 24 hours’ notice, we will retain the payment as a cancellation charge and a further deposit will be required to book another appointment. If purchasing a prescriptive pair of spectacles or contact lenses the customer / patient must have a valid UK prescription. A copy of this prescription must be provided to us and our Dispensing Opticians will have absolute discretion as to whether we accept the order. During this process they may need to contact you or your optician to request further information. They may also request that you visit the practice to take special measurements and / or attend for an eye examination. A contract and charge for goods. Professional fees (services) exempt of VAT. VAT is payable on the goods at the rate of 20%. The services are exempt from VAT. A fully itemised breakdown will be provided and is shown in full on your quotation / confirmation of order and receipt as declared to HM Revenue & Customs. Unless specifically stated no two offers may be used in conjunction. Discounts will be given against the cost of goods not our professional fees or services. We reserve the right to withdraw, change or cancel offers without notice. We will use our best endeavours to ensure the accuracy of the prices and price related information stated are correct, however we cannot guarantee that we will not make a mistake or misprice an item inadvertently. If this is the case, we will notify you of the error as soon as possible. You will then have the choice to either accept the correct price or to cancel your order and receive a refund. A minimum deposit of 50% is required when ordering goods and the balance of payment must be made on collection. Re-Glazing your own frame or making any alterations or repairs to your spectacles or contact lenses can only be done at your own risk and will incur a professional fee. If your spectacle frame should break whilst being re-glazed, and your new lenses have been cut to a shape that cannot be re-cut to fit an alternative frame, you will need to purchase a second pair of spectacle lenses as well as a new frame. 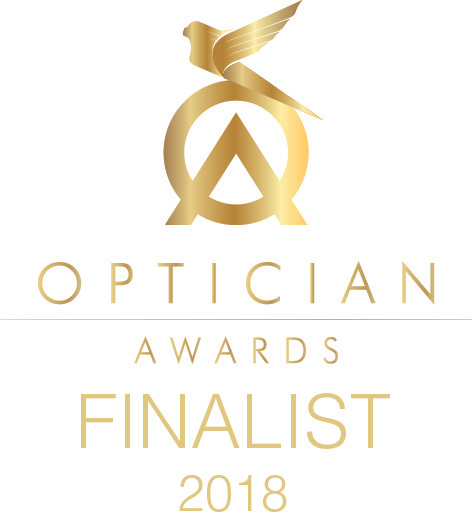 Once an order for spectacles or contact lenses has been placed, they go into production without delay and cannot be cancelled, refunded, or exchanged. When an order is complete, and the goods are ready for collection, notification is made by SMS text, telephone, or email. Goods should be collected within sixty days of order completion notification. Items not collected within 60 days of order completion notification will be dismantled or disposed of and any deposit paid will be forfeited. Some spectacle lenses and contact lenses are available with a non-tolerance warranty or exchange option meaning they can be exchanged for alternative goods to the same value providing they are returned within the manufacturer’s stipulated period (usually between 30 and 90 days). Administration fees may apply when items are returned or exchanged. We cannot exchange or credit products which have been damaged or products returned after the manufacturers stipulated period. If you place an order for lenses or contact lenses which subsequently turn out to be unavailable in your prescription we will find the closest possible alternative within the same price range that suits your prescriptive requirements. If we cannot find a suitable product within the same price range, we will contact you to discuss alternative solutions. If the spectacle frames or sunglasses you have ordered are not available, we will contact you to give you a choice to receive an alternative or a credit or refund. Spectacle frames and sunglasses ordered on approval and not purchased will incur an administration fee to cover our costs such as delivery charges and suppliers re-stocking fees. If you notify us of a defect or fault with any goods supplied by Zack Eye Clinic Ltd, within the manufacturer’s warranty period, we will act on your behalf with our supplier/s to request replacement or repair to any goods that are faulty or defective. If goods we have supplied are found to be faulty, within the manufacturer’s warranty period but a repair is not possible, and a replacement is not available, we will issue a credit for the value of the goods which may be used towards any goods or services that we provide. We will not accept any liability for faults or defects arising from wear and tear, wilful or accidental damage or for faults or defects notified after the manufacturer’s warranty period. We will not be liable for any inconvenience, disappointment, indirect or consequential loss or damage arising out of any problem in relation to any goods we supply, and we shall have no liability to pay any money by way of compensation other than any refund we may choose to make under these terms and conditions. The personal data we collect includes names, addresses, e-mail addresses, phone numbers and IP addresses of visitors to our practice and /or our website. Personal data is held for the provision of health care e.g. as patient records, for legitimate interests e.g. direct marketing to existing customers and for the performance of a contract with the data subject e.g. employee records. By using our services or our website, you agree to the terms of our data policy. This policy describes the personal data that Zack Eye Clinic Ltd hold, how we use it and how we protect it to comply with the EU General Data Protection Regulation (GDPR). The policy is available to view on our website or within the practice. The Site’s design, names, text, images, graphics, layout, style, logo, and trademarks are all owned by, or licensed to, Zack Eye Clinic Ltd. Reproduction in whole, or in part, for any purpose is strictly prohibited without written permission of Zack Eye Clinic Ltd.
We believe that our site is virus free and protected though it is possible that the site may be hacked or infected at any time. It therefore remains the responsibility of the user to ensure that use of our site and its links internally and externally do not harm their computer system. No liability will be accepted for any direct or indirect damage to any computer system, digital hardware or software or for any inconvenience, disappointment, indirect or consequential loss or damage arising from use of our website or from any email or other digital communication emanating from Zack Eye Clinic Ltd or any of its web domains, sub domains, social networking accounts, servers, computers or other digital hardware or software. Privacy notice for patients of Zacks Eye Clinic Ltd.